Every year everyone dashes, dances, prances to Cotley Farm to see our reindeer. 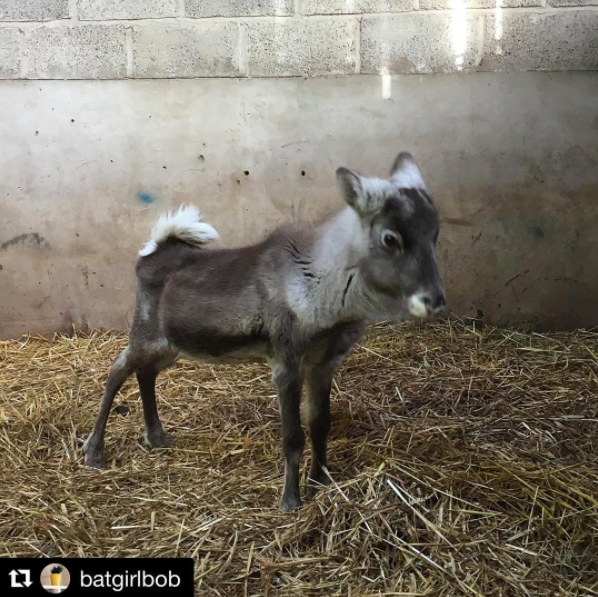 In May we were very surprised by the arrival of a new reindeer and in the build up to Christmas we have been asking Devon to name her! After over 200 entries we created a shortlist of the 5 names we felt suited her best. 830 votes later, 400 all agreed on what our little addition should be called. We thought it was only right that we had a few words from the reindeer herself so here is a note from… Willow. I finally have a name! My name is Willow, ooo it feels a bit funny saying that. I want to thank everyone so much for helping to choose my name, I love it. You had such a tough decision to make with some lovely names including; Royal, after the Royal Clarence Hotel and Treacle just like the colour of my fur, but you definitely made the right choice. Willow really suits me and it’s so exciting hearing everyone call it out. I am loving my first Christmas. It’s great being around my friends, especially Milly and Billy. It’s loads of fun meeting all the families who visit for Cotley mince pies and mulled wine, and maybe get a picture with yours truly of course. Santa will need a dash of reindeer magic soon but there’s still time to meet us before Christmas! If I don’t get a chance to meet you I hope you have a wonderful Christmas and that I see you on the farm next year! Thank you again everyone for my pretty new name. Thank you to all our customers who helped us name our reindeer! Don’t forget you can visit Willow and our other reindeer until midday on Christmas Eve for some festive fun. We hope to see you soon!